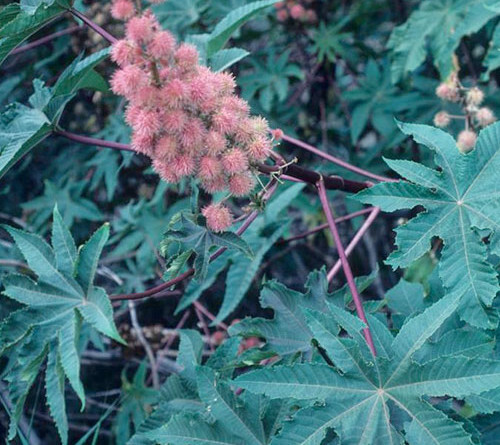 Castor Oil Plant-A popular Jamaican herb used mostly for the hair. Warm castor oil is used as a rub for arthritis and as a bath oil it relieves many skin problems.The plant is also used to cure constipation and bodily pain. Hot castor oil massaged into the hair will strengthen it and eliminate dandruff, lice, fleas and other scalp problems. Alcoholic extract of the leaf was hepatoprotective in people. 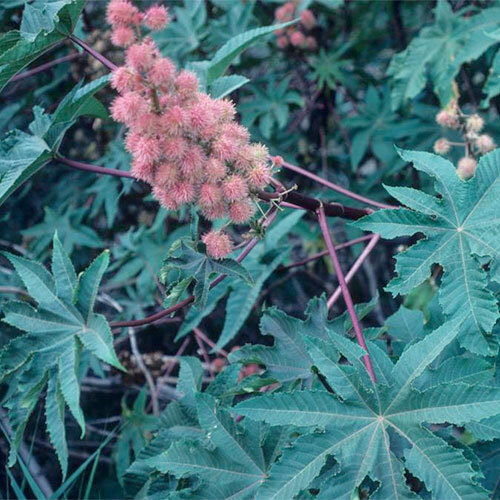 Methanolic extracts of the leaves of Ricinus communis were used Antimicrobial testing against eight pathogenic bacteria and showed antimicrobial properties. The extract was not toxic.